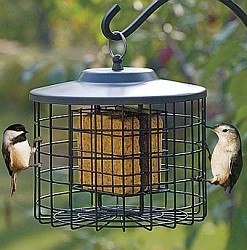 You either love'm or you hate'm! 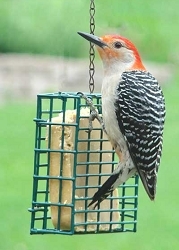 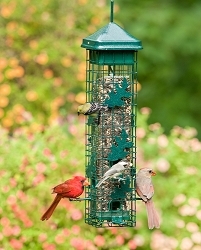 One thing is certain, if squirrels are raiding seed out of your bird feeder you may want to consider one of our squirrel resistant or squirrel-proof caged bird feeders. 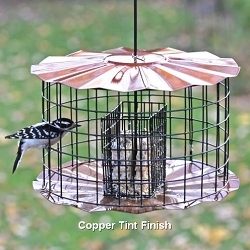 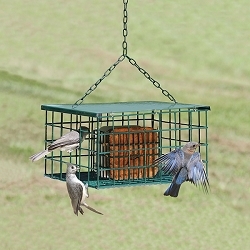 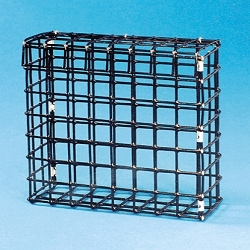 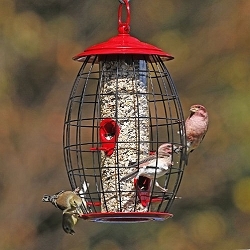 Our caged bird feeders resist squirrel damage and will help prevent those feisty squirrels from stealing the seed. 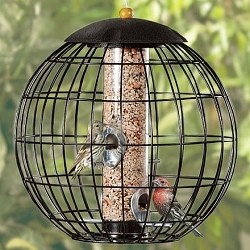 Caged bird feeders not only discourage squirrels around feeders, but also larger unwanted birds from reaching the bird seed. 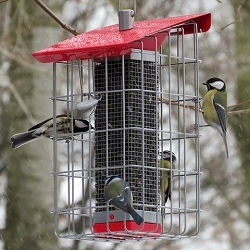 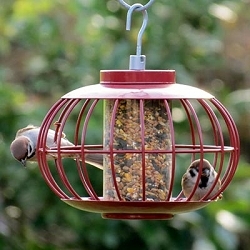 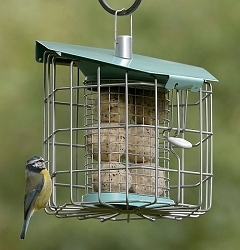 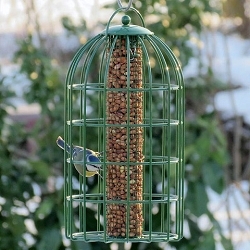 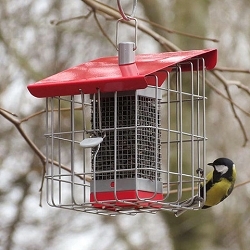 Our caged bird feeders come in a variety of types including those that dispense seed, mixed seed or seed blends, Nyjer (thistle seed), peanuts, suet, fruit or live foods such as mealworms. 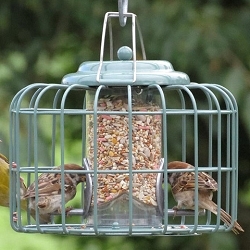 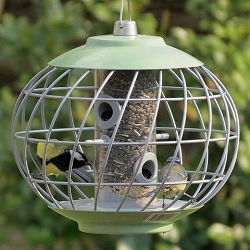 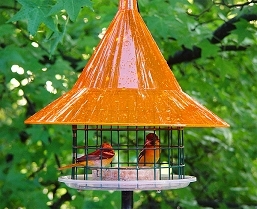 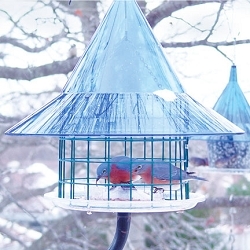 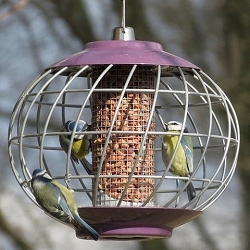 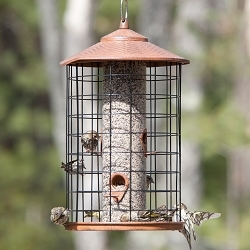 Caged bird feeders can be hung, pole, post or window mounted depending on the style. 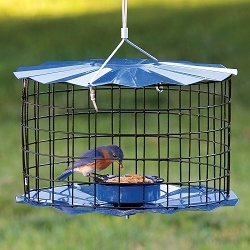 Any bird feeder with a protective cage around it will be found here.